If this doesn’t look like LEGO to you, don’t worry, you’re not alone. It’s just because we’re not used to seeing incredible life-size models like this filled with the tiniest details. 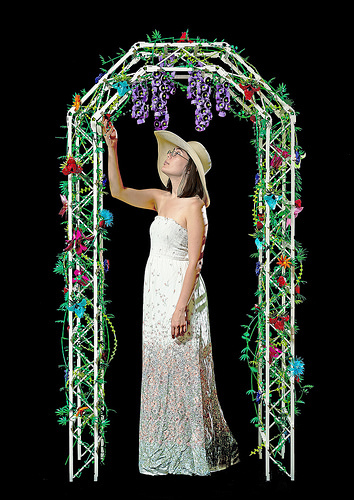 Alysa Kirkpatrick crafted this garden trellis, which stands nearly 7 feet tall, after being inspired by gardens in her neighborhood. Check out more details below. 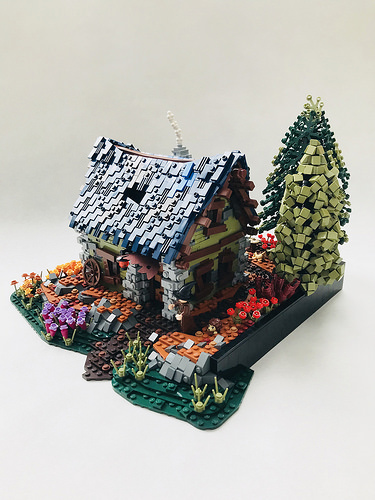 Builder Perterz doesn’t give a backstory for this weathered cottage surrounded by nature, but it makes me think of Sondheim’s musical Into the Woods with its lonely and slightly exaggerated look. 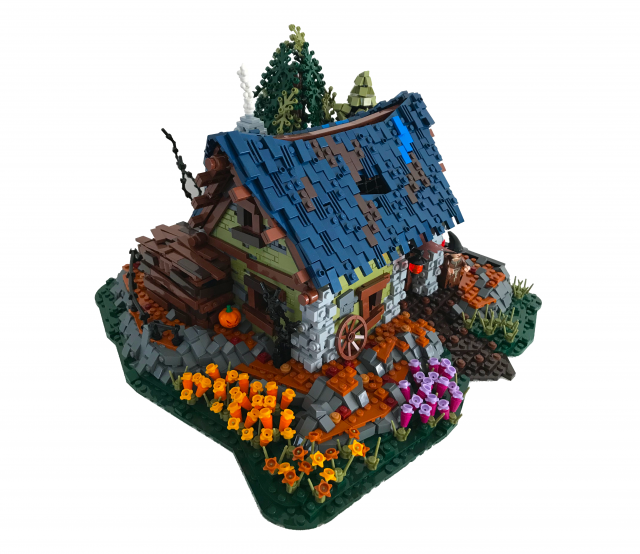 The wide-ranging color palette encompasses pretty much every earth tone in LEGO’s catalog, and the multitude of flowers make the setting teem with life. While none of the major techniques on display here are new, Perterz employs them excellently, from the highly textured roof to the tall tree made with olive green cheese slopes. I particularly love the detailed wooden door, with black minifigure hands as iron bands. People have been conveying messages of happiness, love and sorrow with flowers for centuries. 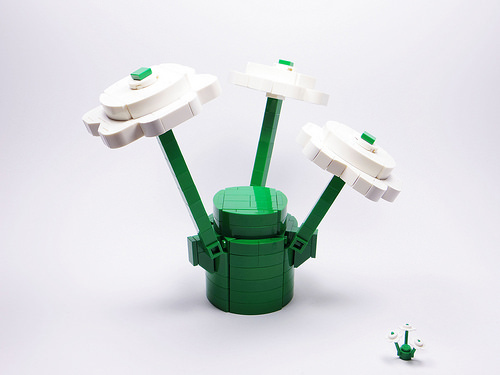 Bigger is not always better when it comes to your favourite bouquet, but when it comes to LEGO flora, there’s something special about big flowers. Chungpo Cheng has built a much larger version of the 1×1 Plant with 3 Stems. 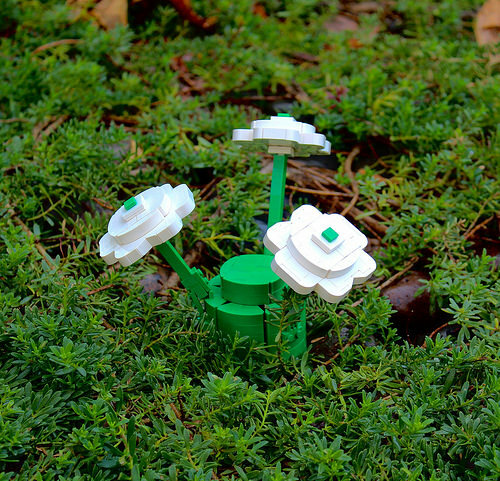 In fact, the flower is upscaled about ten-fold — a LEGO version is 1.5 cm tall and the upscaled version is 15 cm tall. Other builders loved Chungpo’s design so much that they decided to build one too. Miro Dudas‘s version has been spotted growing in the wild.